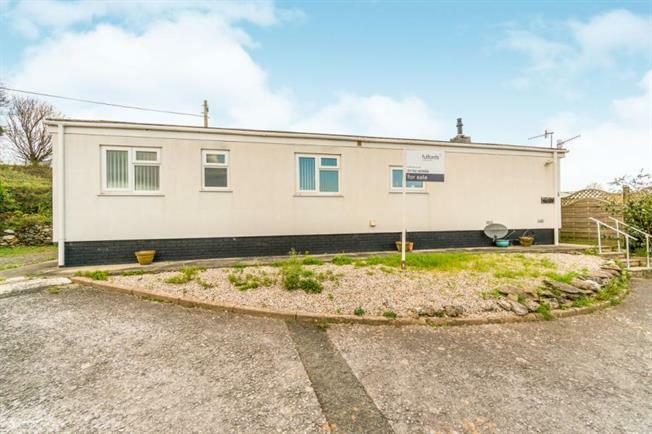 2 Bedroom Detached Bungalow For Sale in Plymouth for Offers Over £100,000. This detached park home is available for residential use for over 55's. This home is set on the outskirts of Plympton with easy access to the A38, the property offers generous accommodation with a newly fitted kitchen, off road driveway parking for two cars. The accommodation comprises, entrance hallway, Kitchen/diner, lounge, wet room and two bedrooms. Outside there is an enclosed generous sized garden with storage shed. The property benefits from gas central heating and countryside views. uPVC double glazed door into entrance hallway. UPVC double glazed window to the rear aspect overlooking countryside views. Built in sliding door wardrobe and built in storage cupboards. Radiators. Laminated flooring. Thermostatic control. Double aspect uPVC double glazed windows. The kitchen has recently been updated. A range of wall and base units complimented by roll edge worktops. Stainless steel sink with spring mixer tap over. Built in single oven, electric hob with hood over. Space for washing machine and tumble dryer. Built in fridge/freezer. Wall lights, ceiling lights, radiator and telephone point. Double aspect uPVC double glazed windows overlooking the garden and countrywide views. Door to garden, radiators, feature beamed cielings, built in display units and a cupbaord housing boiler. Carpeted flooring and wall lights. uPVC double glazed window to the front aspect. Built in mirror wardbrobes and storage space. Laminated flooring and cieling lights. uPVC double glazed window to the front aspect. Radiator, built in wardrobes. Carpeted flooring and ceiling light. uPVC double glazed obscure window to the front. Walk in wet room. Vanity units with inset wash hand basin. Low level WC. Walk in shower area with glass screen. Electric shower over. Heated towel radiator, tiled splash back area's, hand rails and ceiling lights. To the side of the property there is driveway parking for two cars. Large flow bed to the front of the property. Pathway leading to the rear, patio alfresco dining area with views overlooking countryside views. Gravel area with enclosed fence and storage shed. Outside security lighting.